How do your content marketing skills stack up against your peers? Find out what's working, what's not, and the challenges to look out for in the year ahead. 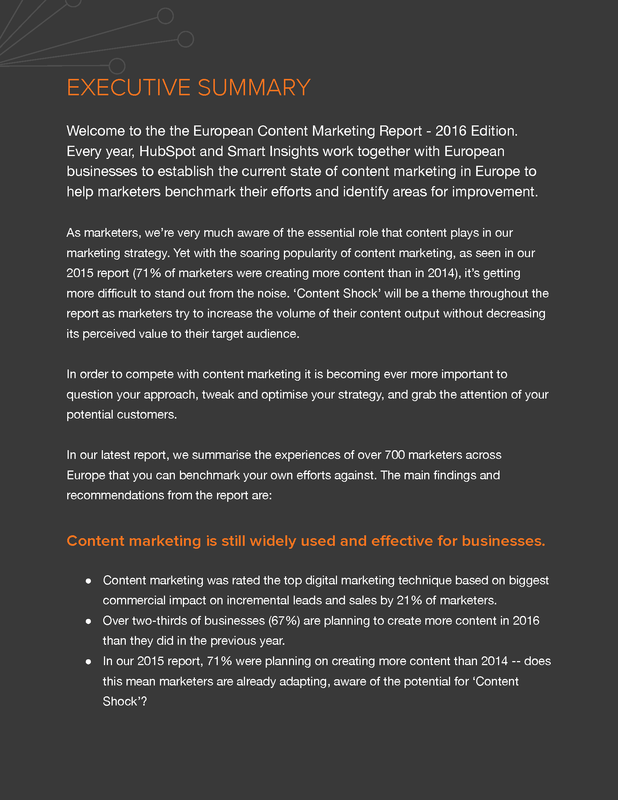 Every year, HubSpot and Smart Insights work together with European businesses to establish the current state of content marketing in Europe to help marketers benchmark their efforts and identify areas for improvement. 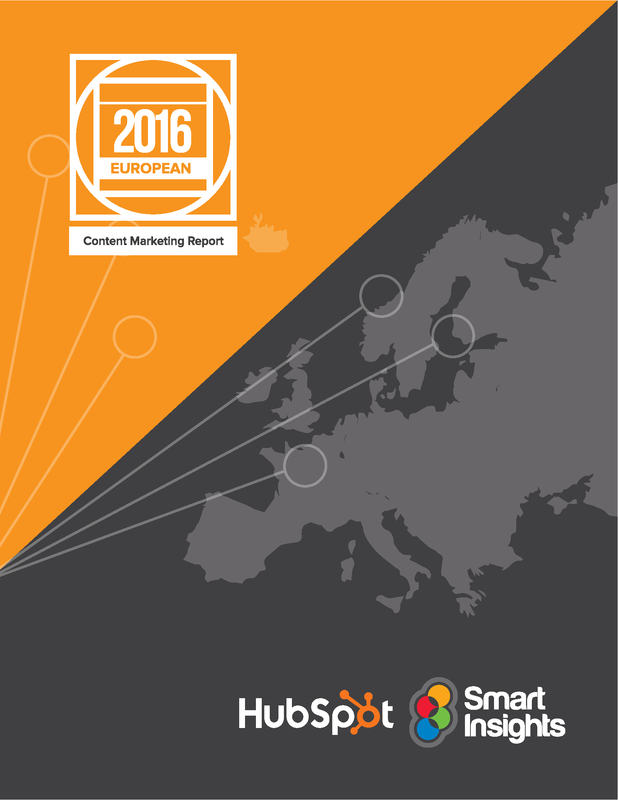 In this report, we summarised the experiences of over 700 marketers across Europe to uncover the trends, challenges, and most effective content marketing techniques in 2016. We identified that marketers need to shift their focus from creating more content to investing in the quality of that content and promoting it to a highly targeted audience. Get your copy now to learn more of our discoveries! Which online marketing technique will give me the most ‘bang’ for my ‘buck’? How do my content marketing capabilities compare? Should I be producing more content? 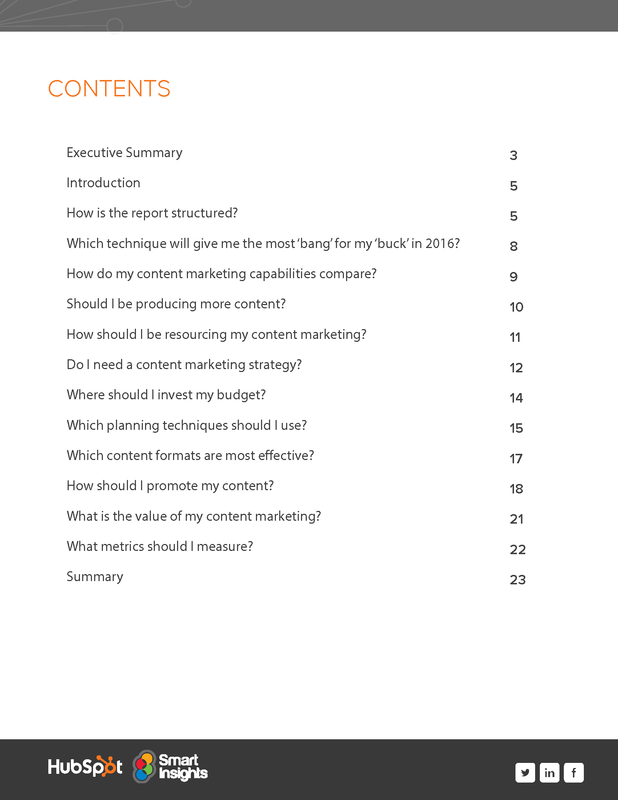 How should I resource my content marketing? 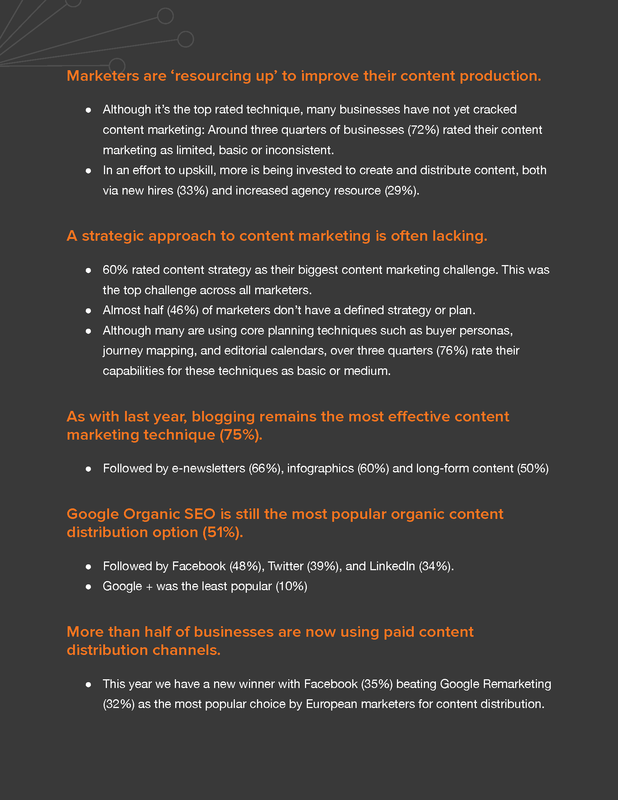 Which content marketing tactics are the most effective? How do I measure the value of my content marketing? 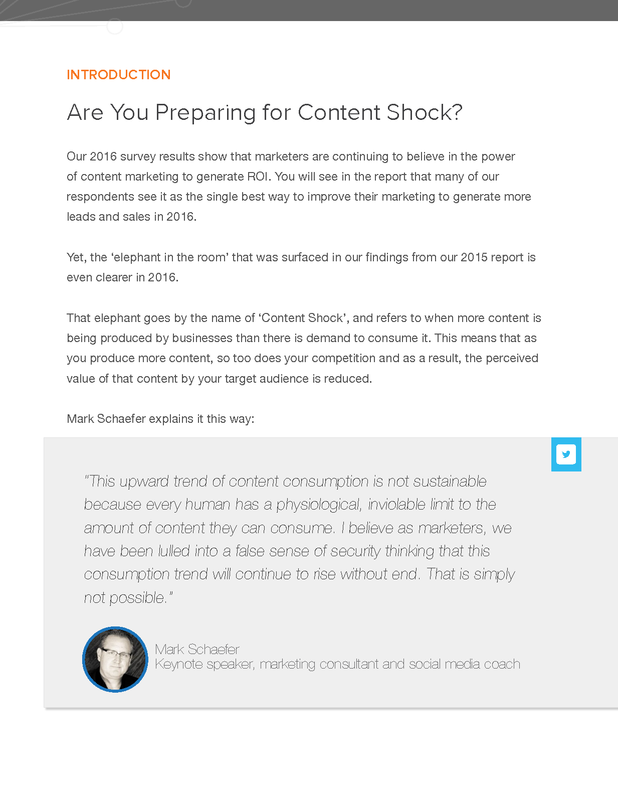 What are the content marketing challenges that need to be managed in the year ahead? By supplying your contact information, you authorise HubSpot and or/Smart Insights to contact you with further information. 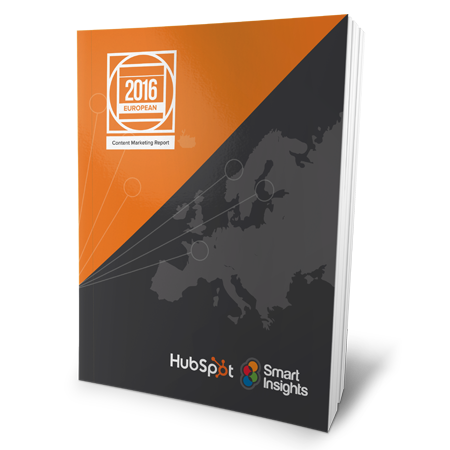 You further authorise HubSpot to pass your information to Smart Insights for these purposes.